An exhibition of 60 propaganda posters made to mark China’s most important days or events since the 1950s is open to the public. 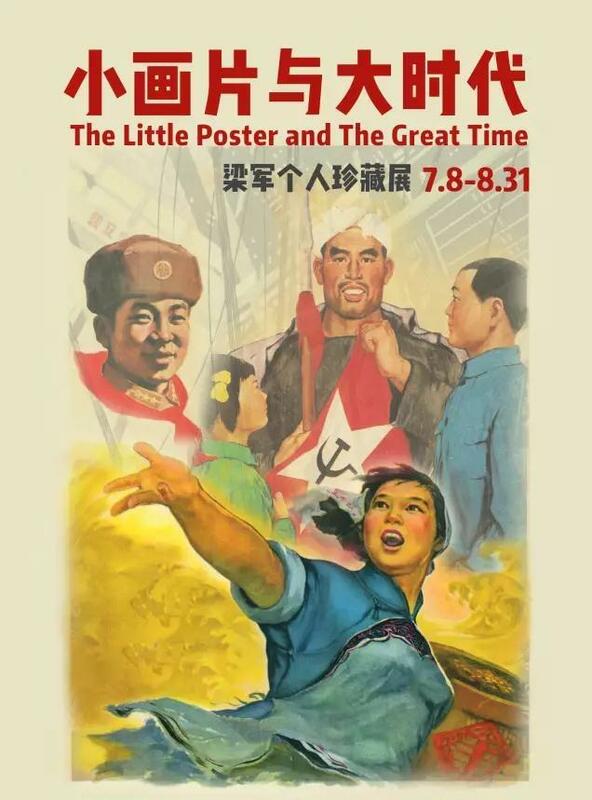 An exhibition of 60 propaganda posters made to mark China’s most important days and events since the 1950s is open to the public at LuJie City Image Studio until August 31. The exhibition organized by Shanghai collector Liang Jun and Shanghai Changning Spare-time University shows the tremendous changes and development of the nation in the form of poster art. There are posters from the Great Leap Forward, a social and economic movement, that attempted a rapid industrialization of the economy; from the "cultural revolution" (1966-76) that saw people embrace Chairman Mao's Little Red Book to defy difficulties; and from the era of opening up and economic reform that was initiated by the then leader Deng Xiaoping who promoted “socialism with Chinese characteristics." 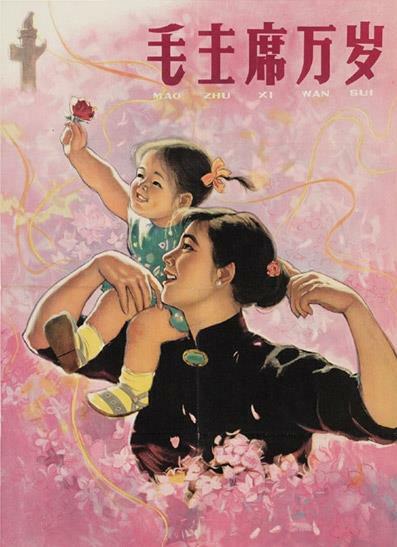 Chinese propaganda posters are rich in content, colors and styles. In the days before the motion pictures and the Internet emerged, a still image was worth a thousand words. These posters serve as a valuable historical document. An interesting part of the exhibition is the influence of the 1930s Shanghai calendar girl posters on some of these 1950s posters. Posters from the 1950s and 1960s feature an explosion of folk art painting style. Born in 1949, Liang started collecting bookmarks, posters and New Year's pictures since he was six years old. So far he has a collection of more than 4,000 pieces. 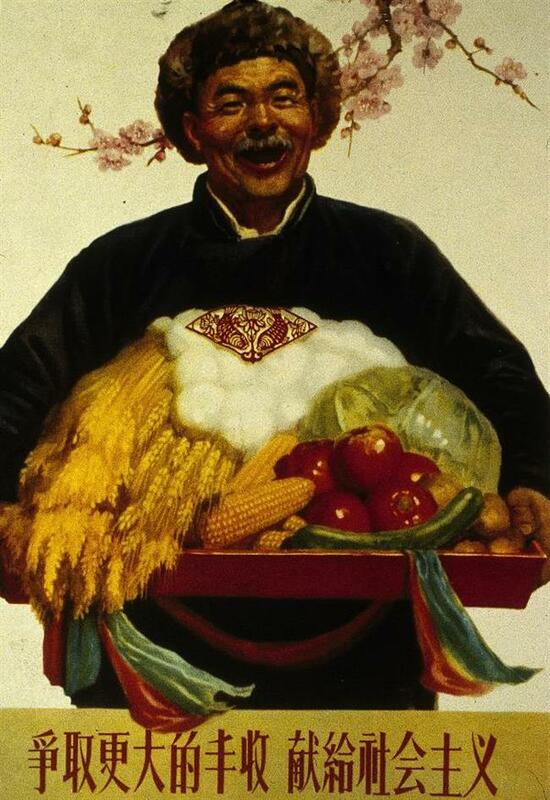 Highlights include a 1949 poster to celebrate the founding of the People's Republic of China, one of the earliest posters with Chairman Mao's image towering over the mass marching parade at the Tian'anmen Square; a 1960 poster of "Strive for a Bigger Harvest and Contribute to Socialism" by Qian Daxin; and a 1964 poster of "Long Live Chairman Mao" by Ha Qiongwen, in which a beautiful woman with a baby girl sitting on her shoulder looks admiringly at a white marble pillar at the Tian'anmen Square. "Each poster is both a work of art and an insight into those times," Liang says. "To achieve these works, many artists reached deep inside themselves in order to capture the indomitable human nature and the soaring optimistic spirit of the people."